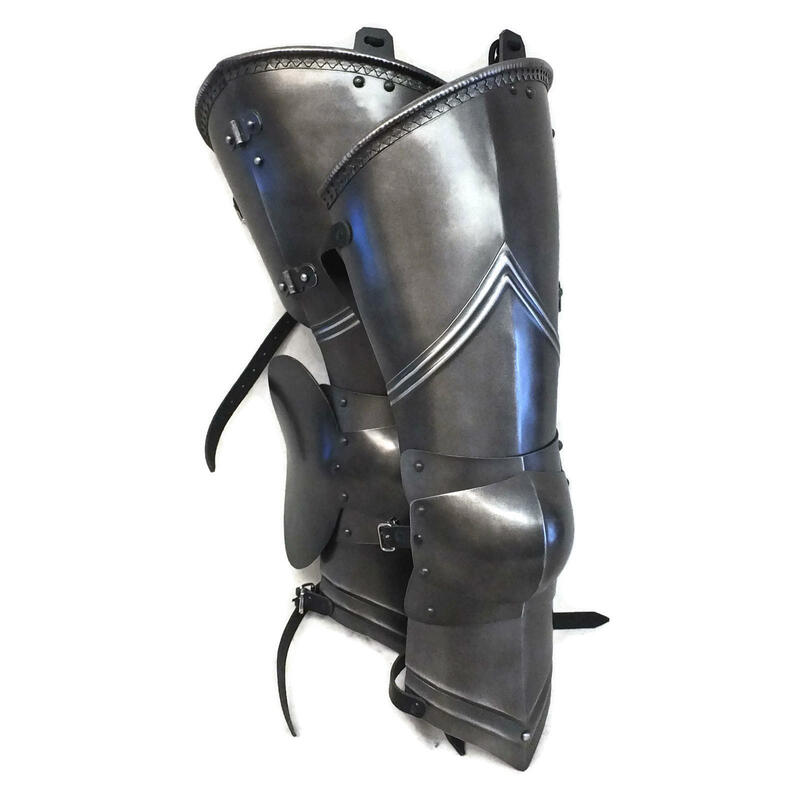 Pictured in our Dark Steel finish. 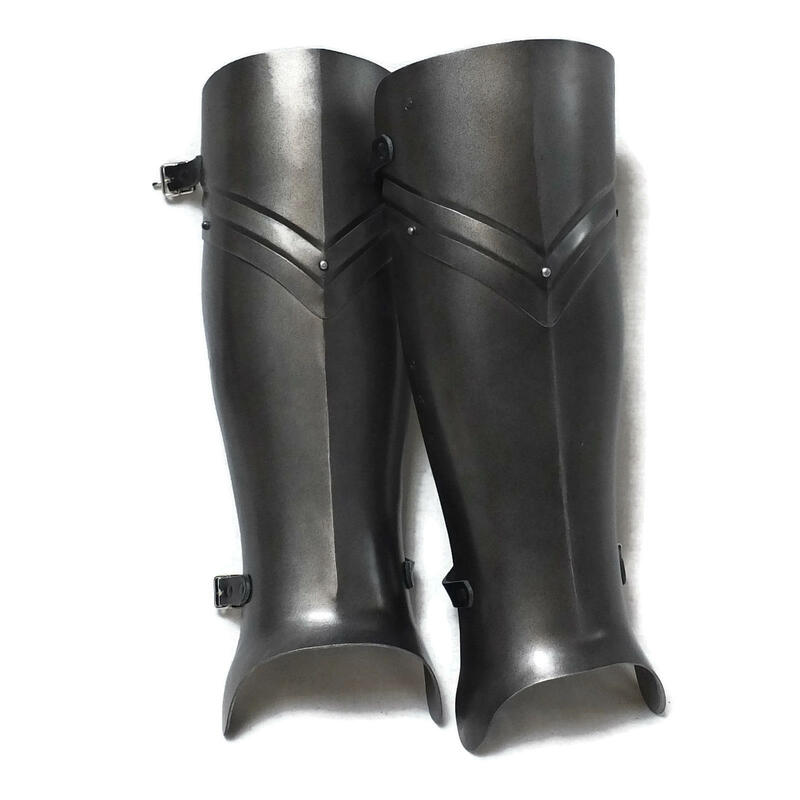 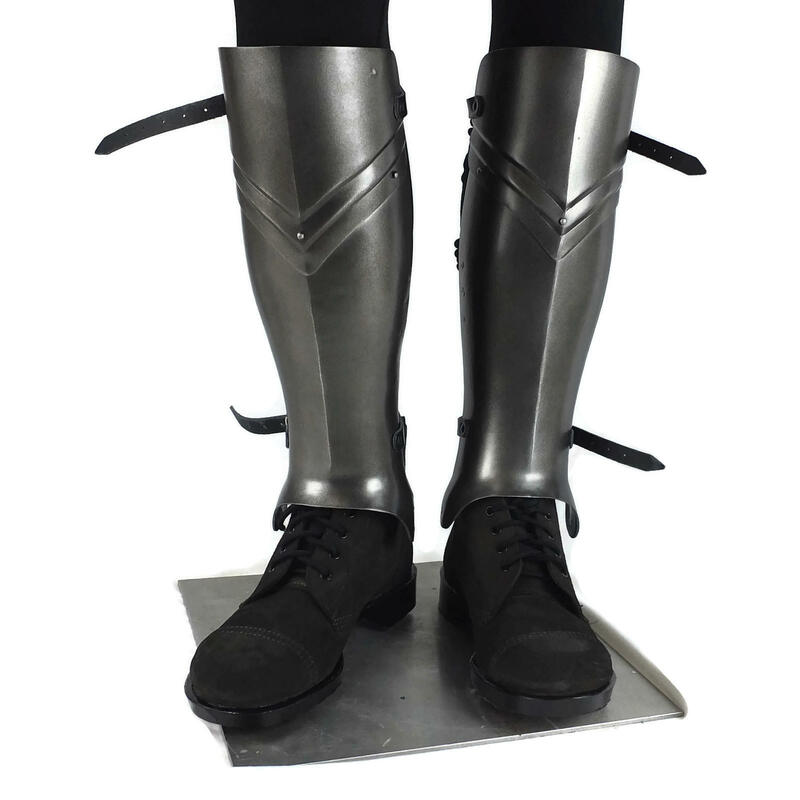 Medieval style fluted larp leg armour with an overlaid fluted design. 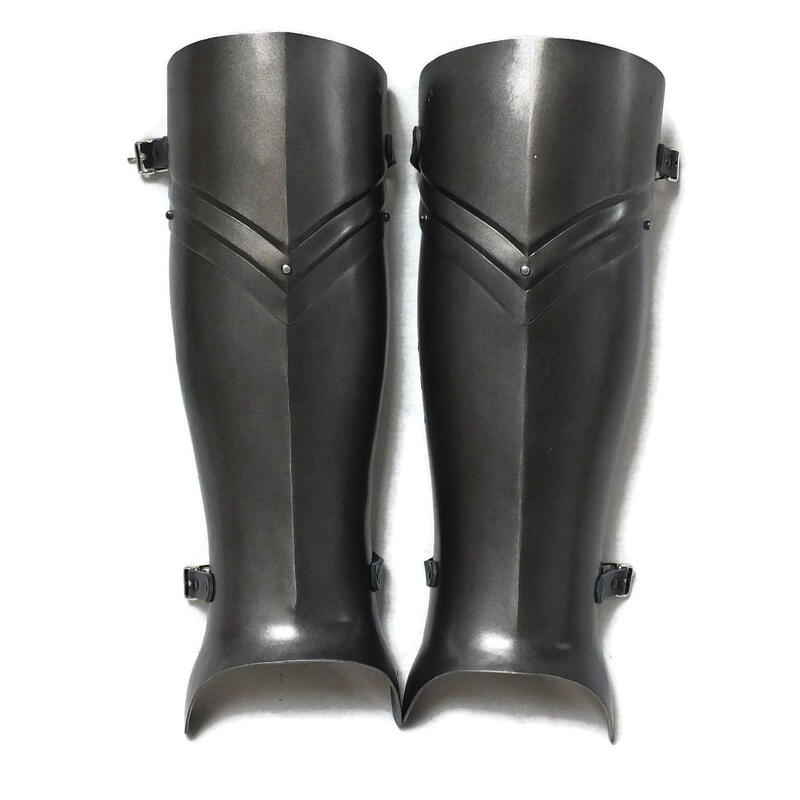 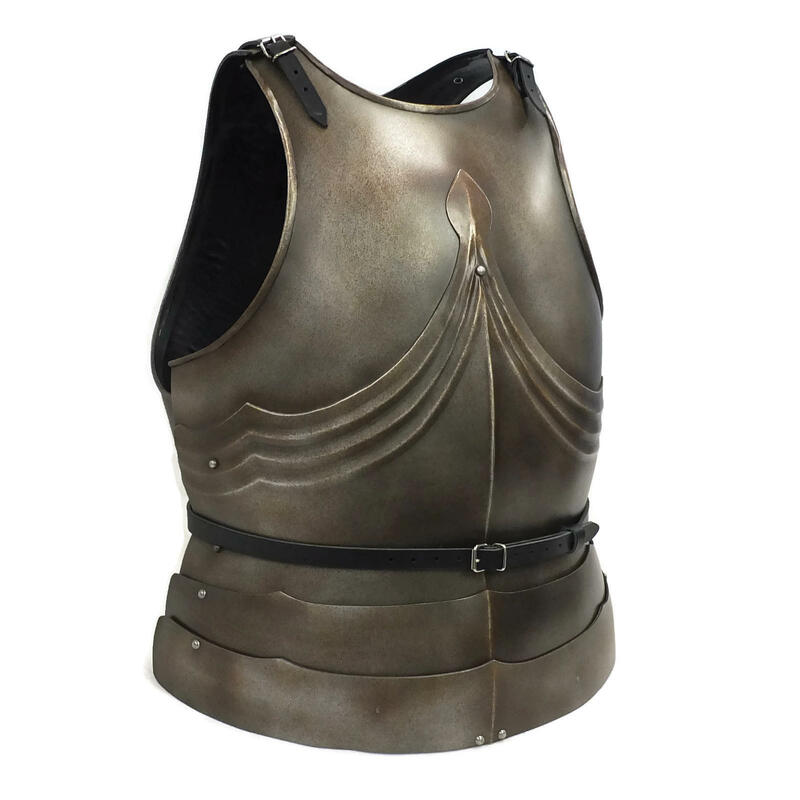 These match well with our Gothic and Medieval style armours. 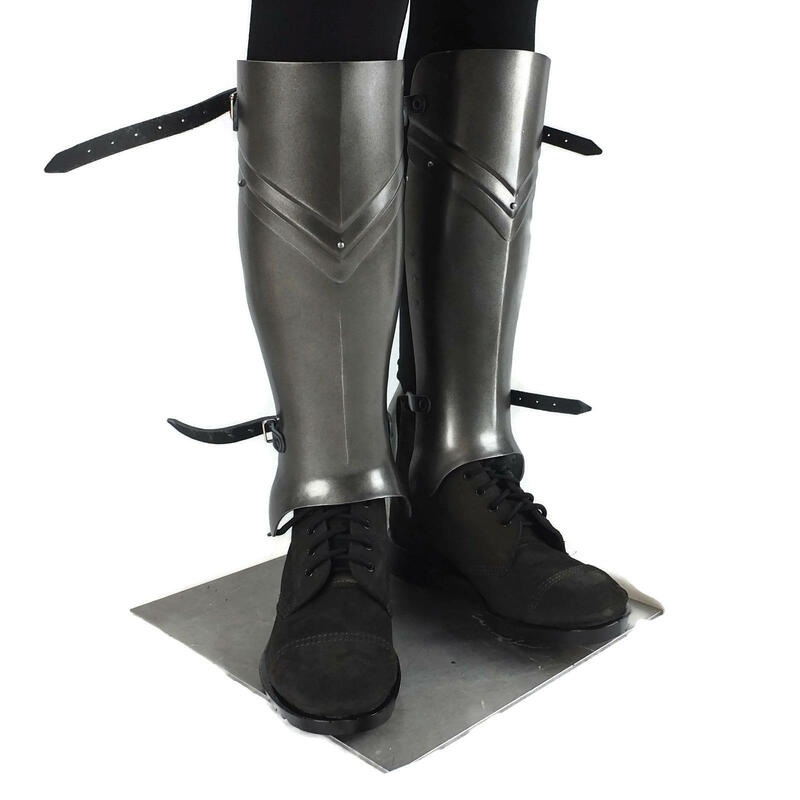 Complete with black leather straps.